At Quick and Easy Moving, we are highly committed to providing a positive and memorable experience when it comes to local moving. As experienced movers in Surrey, we understand your needs. Our staff are highly trained, and professional and know how important your cherished possessions are. A home isn’t just a place you live; it’s where you create life’s most precious memories with your loved ones. We offer benefits over other moving companies starting from the cheapest rates in Surrey, starting from just $35 per half hour which includes one man and a truck. Ready to work, we show up fully equipped with our can-do attitudes, as well as moving necessities such as dollies, padding, and straps. Our reputable moving crew takes utmost care during all aspects of your move, offering polite, friendly, and highly-trained movers to service all areas of the Greater Surrey and Fraser Valley areas. 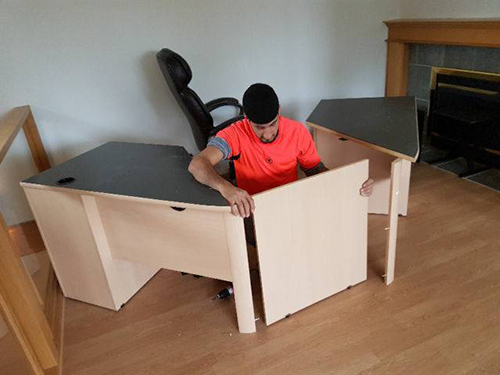 When moving from one house to another in Surrey, it can be quite an overwhelming process. We understand how easy it is to overlook something, which is why we have prepared a list of essential tasks to complete before moving house. AddressChangeBC makes it easy to change your address in BC. If you are moving within British Columbia, use the official form here to update your personal and/or business records with both local and provincial Government organisations. To cancel your gas, electricity, and water/sewerage services, at least three working days before you are scheduled to move, contact Surrey’s Utilities Services offices on Tel: 360 487 7999. Parents of children at a Surrey Board of Education school, must go to a District Reception and Placement centre if moving within the city of Surrey, and then register with the new school. This must be completed in either July or August. If your children don’t attend a Surrey Board of Education school, parents should inform the school of the departure. A change of address for a driver’s licence must be done within ten days of moving. You can update it on the Government of British Columbia’s website, in person at a Driver Licensing Office, or in person.